When starting your building project, you should call your local building department or better yet, visit them to receive the correct information regarding your building process. What other permitting questions might come up? Wind speed in miles per hour. Wind exposure either B, C, or D.
A “Pole Building” is a method of construction that allows you to build with vertical, upright posts, then attach the wall framing horizontally to the post. First the post hole is dug in the ground. Then, the post is placed vertically in the hole, next the concrete or crushed rock is added around the post and the hole filled up. Posts have been properly treated with chemicals to preserve them. ( See the Warranty Information). The Post Frame type of construction has been around for hundreds of years. This framing design is the most economical way of constructing, compared to other types of framing structures. Limited Lifetime Warranty: Any solid sawn structural column that fails due to decaying. These posts have a long lasting protection to assure against decay and insect infestation. These posts that are in soil will be pressure treated with preservatives in accordance with standards developed by the American Wood Preservers Association (AWPA). Posts have a lifetime warranty. 40 Year Warranty: The metal siding has a 40 year warranty against fading, cracking, chipping and peeling. Can I have "house type siding"
The post frame design will allow you to have any choice of house siding. Inform your sales staff of what type of house siding you choose to have installed. We can help you with what type of substructure sheet that may be required. Can I have "house type roofing"
Just like the prior question, the post frame design will allow you to have any choice of roofing that you would like to have. Inform your sales staff of what type of roofing you plan to have and they can design the proper strength of truss that can handle the weight of the roofing material. All contractors must have comprehensive general liability insurance, workman’s compensation insurance for the employees, and they are to have a construction bond approved by the state where the construction is being completed. All subcontractors that are hired by your contractor are required to have the same items. 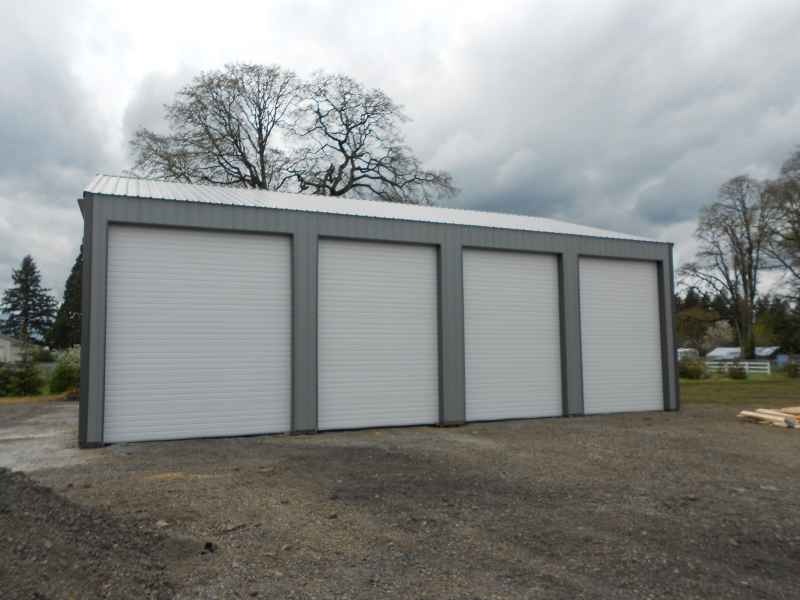 The acceptable gauge of metal for this industry is 29 gauge for the roof and walls. This is made of galvanized metal that has baked on paint, with a 40 year warranty, applied to the galvanized material. The trusses have standards that have been put together by the Truss Plate Institute to insure the strength of structural components joined together with steel plates. These trusses can be engineered for heavy snow load areas, as well as high wind areas.